During my recent personal and emotional struggles to accept the election of DT as the President of the United States, I have had to deal with some very un-Christian attitudes. The bottom line is that I simply detest the man – I cannot even say his name or look upon his face. I see him as a vile, despicable, immoral, narcissistic bully and pathological liar; I could go on but you get a sense of how he affects me. In addition to my feelings about DT, I am also distraught that this country could elect such a person to the highest office in the land. And yet, many of my Christian friends have challenged and encouraged me to pray for him and pray for God to perform a miracle in his heart. Now that I am retired, I have more time for prayer and Bible Study, and so every morning, I try to pray for him but find it difficult; however, I do pray for the well-being of our country and for the implications of what his election means to our nation. I feel a little guilty for lacking the faith that God is mightier than any human being or not believing that God can prevail over any messed-up human political system. I know this in my heart and mind, but I find it difficult to pray and truly believe that God will change DT. I feel a little guilty for lacking the faith that God is mightier than any human being or not believing that God can prevail over any messed-up human political system. My recent Bible study quiet times reminded me of how Israel’s disobedience and sin led to the fall of Jerusalem at the hands of Nebuchadnezzar and the Babylonian army. I wondered, since Almighty God chose not to intercede and save the Jews from terrible destruction nor even save the Ark of the Covenant or the Temple Holy of Holies of “His Chosen People”, then what might God do to America if we are judged and found to be wanting for being led by a Godless person who seems to crave primarily money, fame, and power? I do know that God would not want me to pray for DT to have a fatal heart attack or that perhaps Air Force One will fall from the sky with him in it. I recall the words of Jesus, which can be so darn challenging – such as the exhortation to love our enemies. Jesus said we should love our enemies and turn the cheek to those who would seek us harm and he even led by example by forgiving those who were crucifying him on the cross! But for me to love even DT whom I detest so viscerally – this is a true challenge! So I am caught in a bind – how do I pray for DT sincerely and from my heart? How do I pray for DT sincerely and from my heart? The Lord led me to Psalm 10, and it opened my eyes, heart, and mind. The Psalmist is perplexed that the wicked and greedy can openly exercise their unrighteous works while God seems to be absent. Ultimately, the Psalmist calls on God to act and to “break the arm of the wicked and the evildoer”. These words strike me as my path for righteous prayer. The Psalmist does not ask God to kill his enemies – only to disarm them. If a warrior or soldier’s arm is broken, then he is vulnerable and his power is taken away. 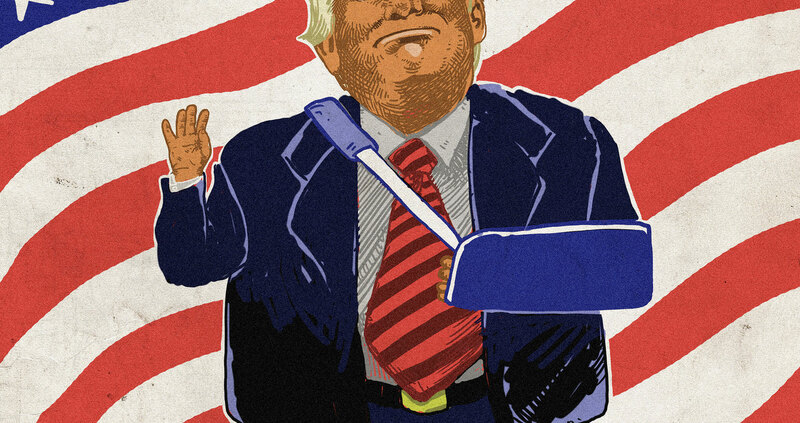 I know I can also call on God to do this – break the arm, or take away the strength and power, of DT and by doing so, maybe God can even bring him to humility and repentance. I can and do pray for this with all my heart! 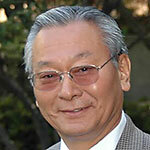 Bill Watanabe retired in June 2012 after serving for 32 years as the founding Executive Director of the Little Tokyo Service Center Community Development Corporation (LTSC CDC). Starting as a one-person office in 1980, LTSC under Bill's leadership became a multi-purpose community-service agency in downtown Los Angeles with over 140 paid staff providing services for seniors, youth & families, low income housing, childcare and many other programs in central LA. It is recognized as one of the premiere nonprofits in community development work. Bill volunteers his time mostly with the Little Tokyo Historical Society and other projects related to historic and cultural preservation. He is a member of Evergreen Baptist Church of San Gabriel Valley and has served as the Moderator for many years. 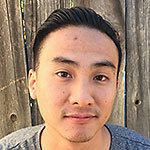 Bill received his Masters in Social Welfare from UCLA, is married and has one daughter, and lives in Silverlake, only a short drive to his ethnic neighborhood of Little Tokyo.